Lincoln Hearing Clinic offers a full range of hearing loss prevention services and products – including occupational consulting for industry and other high-risk work environments. Noise is one of the most common causes of hearing loss, and the risk and harmful effects of noise on hearing are often underestimated because the damage can take place so gradually. When expose to excessive elevated noise, the delicate hair cells in the inner ear can be damaged. This damage often results in permanent, sensorineural hearing loss and tinnitus (ringing of the ears). If you have to raise your voice to shout over the noise to be heard by someone within an arm’s length away, that noise could be a serious risk to your hearing. If you can't remove yourself from the situation, we strongly recommend preventative protection using ear plugs to protect your ears. 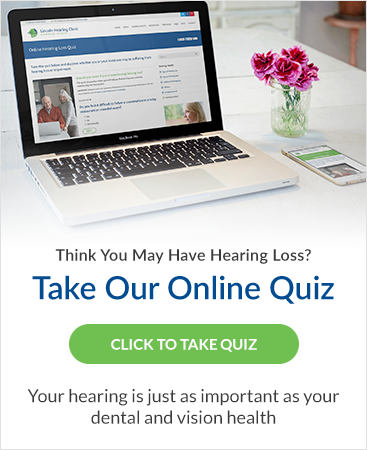 What Puts Someone At Risk of Hearing Loss? Hazardous noise exposures can occur on the job, but common recreational activities – like riding motorcycles or target shooting – can also increase hearing loss risk. Hearing loss prevention thus requires diligence and sensitivity to situations where hearing can be put at risk. RECREATIONAL OR EVERYDAY RISKS | Beware of recreational sources of hazardous noise like firearms, firecrackers, power tools, music concerts, dance clubs, NASCAR, sporting events, motorcycles, motorboats, snowmobiles, powerboats, and 'boom cars'. OCCUPATIONAL OR WORKPLACE RISKS | The risk for hearing loss due to exposure to noise is especially high among factory and heavy industry workers, transportation workers, military personnel, construction workers, miners, farmers, firefighters, police officers, musicians, and entertainment industry professionals. How Can Lincoln Hearing Clinic Help? IMPORTANT: This list is not exhaustive – any sustained loud sound can cause hearing damage over time.